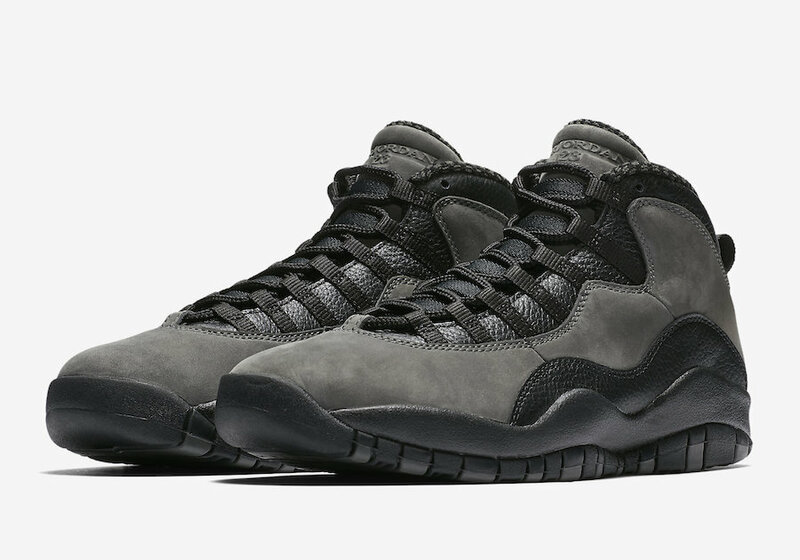 Jordan Brand is releasing a true retro version of the original Air Jordan 10 Shadow for the first time. Dressed in a Dark Shadow, Black, and True Red color scheme. This Air Jordan 10 features a Shadow Grey suede upper, Black leather trim and hints of Red accents throughout. Unlike the 2007 Countdown Pack, this version will not include the PE-style number “23” embroidery on the ankle. Look for the Air Jordan 10 “Shadow” to release on April 20th at select Jordan Brand retailers. The retail price tag is set at $190 USD. UPDATE: Nike releases official photos of the “Shadow” Air Jordan 10 that will now release on April 20th instead of the 21st.